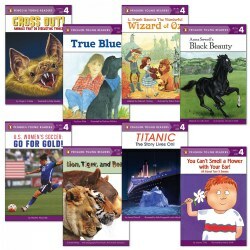 Kaplan provides reading aids for children through engaging books and toys. 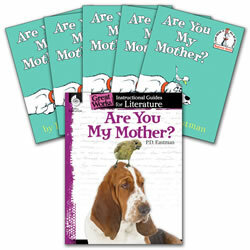 Kaplan offers read-along books and cards to help children form comprehension strategies by considering open-ended questions. PreK - Grade2. 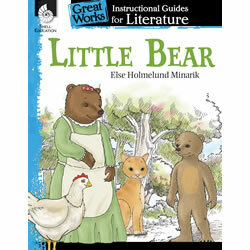 A step-by-step, book-by-book program that guides children through the early stages of reading. 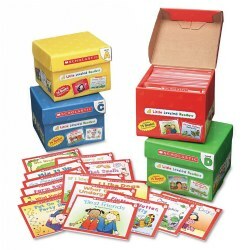 Each book, carefully evaluated by a reading specialist to correlate with the Guided Reading Levels, is leveled to address the early stages of a child's reading development. 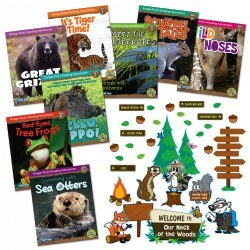 Inside each box set you'll find 75 eight-page storybooks (5 copies of 15 titles) on topics children love, which makes them perfect for group learning. Also includes a 4-page mini-teaching guide and storage box. 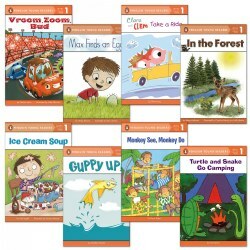 Level 3 of the Penguin Young Readers series offers compound words, more dialogue, different points of view, and complex storylines and characters in a greater range of genres for transitional readers. 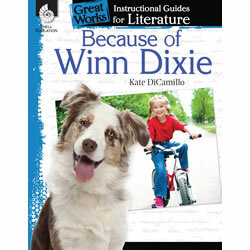 Penguin Young Readers apply the vocabulary, sentence structure, design, plot complexity, font size, and themes in varying Guided Reading levels. 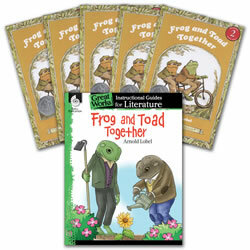 Each set includes eight books. Grades 3 - 9. 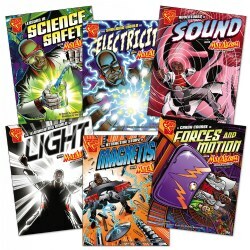 These science books are told in graphic novel format which is ideal for teaching reading fluency. Follow along as Max Axiom the Super Scientist has numerous adventures exploring and explains the important of science concepts in kid-friendly graphic novel format. Available in English and Spanish versions. Grades 3 - 9. 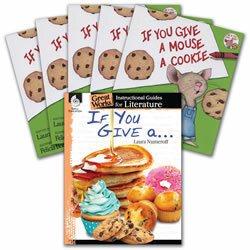 Introduce young readers to the captivation world of classic tall tales with this easy to read book set. 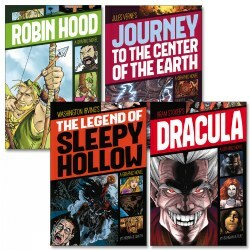 These timeless stories have been updated with in a graphic novel format that hooks the reluctant readers. Available in English and Spanish versions. Grades 3 - 9. 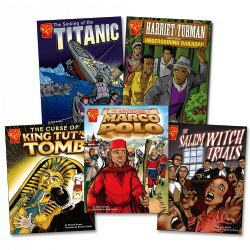 These books offer high-interest subjects, nonfiction curriculum and topics all in graphic novel format. 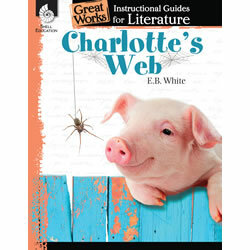 Encourages reluctant readers to enjoy history as they build fluency, comprehension and motivation skills to have a love for reading.